We’re going to South America to meet a rodent today! 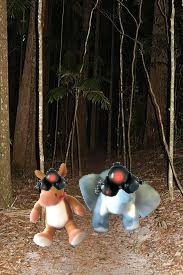 Grab your night vision goggles, backpacks and let’s head out on today’s adventure to meet our mammal buddy! Pacas have short bodies and legs. Pacas have 4 spotty stripes down their sides. 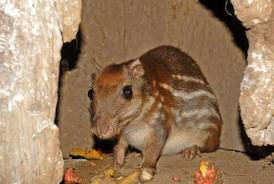 They live in burrows or hollow trees. 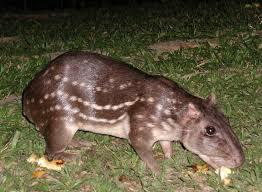 Pacas are cute little mammals. 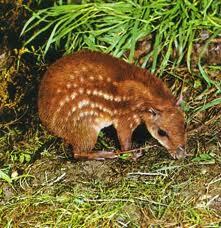 There are so many different species of larger rodents in South America. Do you have a favorite? Mom is afraid of rodents. But I think they look like fun, and I wish I could play with them. Love your night vision glasses, E and E.